It's a familiar quote: Cometh the hour, cometh the man. But do you know the origin of this phrase? It was uttered by English bowler, Cliff Gladwin on the 20th December 1948 in Durban, South Africa, when with two wickets standing and 12 runs required off the last three remaining overs, he came into bat. He scored the winning run from a leg-bye with the last ball of the match after the ball had struck him on the thigh. What better phrase captures the anticipation of Cheltenham Festival 2016. 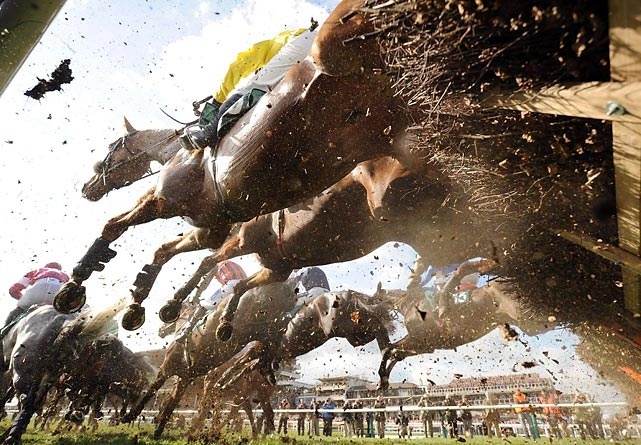 The Cheltenham Festival is the pinnacle of National Hunt racing. With prize money second only to the Grand National. From 15th - 18th March the racing world will be captivated by the best thoroughbred horses in the world. 15th March - Champion Day: a seven race spectacular with the highlight being the Champion Hurdle Challenge Trophy over two and half miles. This race has seen a number of true talents including Hatton's Grace, Sir Ken, Persian War, See You Then and a particular favourite Istabraq. In recent years Willie Mullins has made this race his own with Hurricane Fly and last year's victor Faugheen at odds of 4/5f. 16th March - Ladies Day: A day for ladies, fashion and racing. The highlight being the Queen Mother Champion Steeple Chase, a chase over two miles. In the 1980s Badsworth Boy made this race his with three victories in consecutive years. Last year we saw Dodging Bullets, trained by Paul Nicholls with Sam Twiston-Davies in the plate. 17th March - St Patrick's Day: A true celebration of racing with outstanding Irish support from trainers, owners and punters alike. The highlight of the day being the World Hurdle over three miles. This race has a long history with its inaugural running in 1912 with Aftermath winning by fifteen lengths. In this modern era one horse stands out - Big Bucks. A four-time winner from 2009 - 2012. Last year saw six-year-old Cole Harden, trained by Warren Greatrex. 18th March - Gold Cup Day, the conclusion of a wonderful week of racing. The Cheltenham Gold Cup is the most famous of all races at the festival run over three miles two and half furlongs. It has been won by a number of exceptional horses including: Golden Miller, Arkle, Best Mate, Kuato Star & Denman. Last year saw Coneygree trained by Mark Bradstock. In those ardent words of Cliff Gladwin, trainers, owners, jockeys and race fans will be hoping their horse shines come the big day. It starts with a thought, a whispered word, a fateful shout...to one voice: The Cheltenham Roar.